Pulled Pork Sliders make the perfect easy dinner or game day party appetizers! 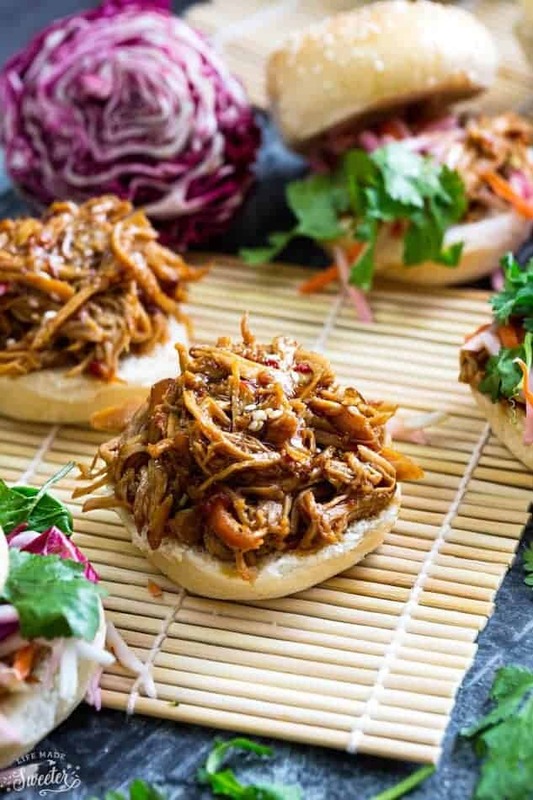 Best of all, the soft and tender pulled pork comes together easily in your slow cooker or the oven! Combine all the sauce ingredients in a small pot or saucepan. Bring to a boil and simmer uncovered for about 10-15 minutes until sauce thickens, stirring occasionally. Set aside. Trim excess fat from pork. Season with salt, pepper and garlic powder. Rub 2 tablespoons of sauce over the pork and top with onions. Pour in chicken broth. Cover and cook for 8-10 hours on LOW or 4-5 hours on HIGH' or until the meat is tender and shreds easily. Shred meat with two forks and pour on the prepared sauce, reserving some to serve on the side, if desired. Place the roast, fat side up, into a roasting pan and roast for 6 hours. Remove from oven and shred meat with two forks. Pour on the prepared sauce, reserving some to serve on the side, if desired. 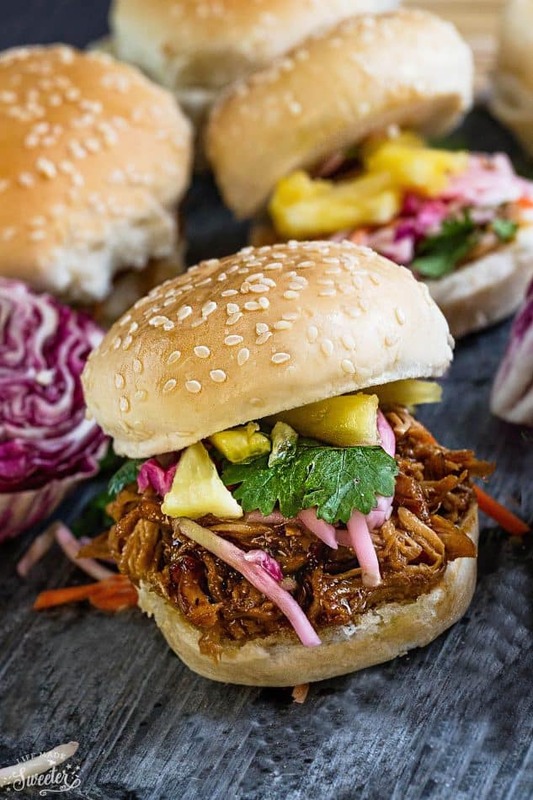 Top buns with pulled pork, Asian slaw, pineapples or any other toppings and some reserved sauce. Serve immediately. In a large bowl, whisk together the lime juice, soy sauce, sesame oil, salt, sugar and oil. Add the cabbage to the bowl and toss thoroughly until well coated. Cover and refrigerate a minimum of 2 hours.